I’ve said it before and I will always say it - deciding to create or produce a jukebox musical is always a risky choice and decision. I think there is a lot of things that can go wrong with them. If it’s based off a real person, there are always comparisons to the real life person. If it’s an original story, will the songs flow well within the plot or will they just be randomly placed? These things always swirl through my head before seeing a jukebox musical however I was proven to be delightfully wrong because On Your Feet! really was pretty fantastic. 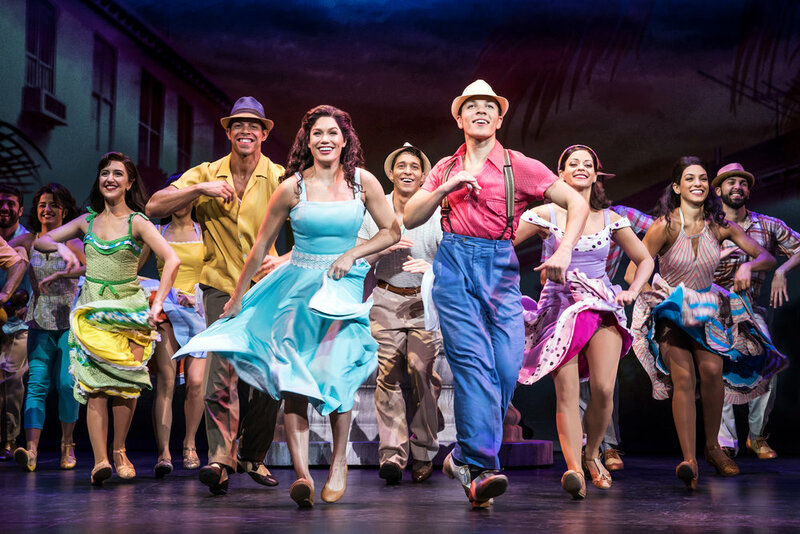 On Your Feet! 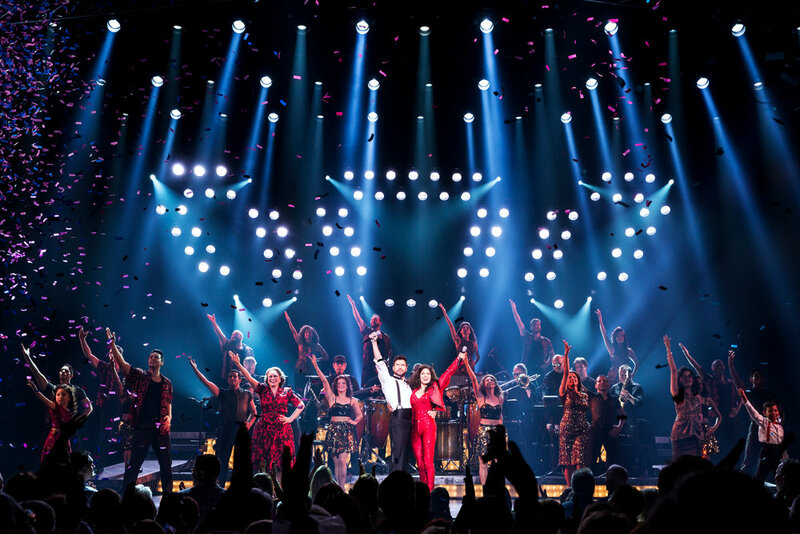 Is based on the real life story of Gloria and Emilio Estefan and their rise to fame by believing in not only themselves but each other and their music. The story really makes light of the “American Dream” and follows their lives including the tragic accident in which Gloria almost lost her ability to walk from a car accident. Gloria has sold more than 100 million records worldwide and sold out stadiums including world tours. Together, her and her husband have been nominated for multiple Grammys, winning over 26 of them. I’m torn when it comes to these biopic musicals. Recently there seems to be one every year and I almost was getting sick of hearing about them however once I see them, I end up falling in love. Last year, Minneapolis was treated to Beautiful which was a musical about Carole King. Now we were treated to Gloria Estefan and, like I said before, I loved it. I think the reason why I fell in love with it so quick was because for me, a young 25 year old, I didn’t grow up with her music. Going into the show I really only knew two or three songs so it was almost like an original musical with all new music. I said this about Beautiful as well but it’s almost a blessing that these musicals are coming because they introduce a whole new artist to such a younger generation - I listened to her greatest hits all day at work the day after! I was surprised as to how well many of her hit songs flowed so well with the story. Sure she did a few “this is a strict performance to incorporate this song” but I never felt like the writers did that too much. It always felt natural and with the rhythm of the plot. The show is also very timely with the current political climate on how we treat immigrants. At one point, Gloria and Emilio were told that they had to stick to singing Latin music and could not cross over to English speaking music. This scene earned a loud applause and plenty of whoots and hollering when Emilio monologued to the producer about how he pays his taxes, he follows the law and points to himself saying how this is what an American looks like. What made the story feel even more rich and alive was the phenomenal cast. I really want to highlight the incredibly talented ensemble who made up many smaller roles and then background dancers, singers etc. During the dance scenes they were impeccably together and the harmonies that were written to make her hits sound more musical theatre like were fantastic. Eddie Noel played Emilio and was so unbelievably charming but never slimy as he always tried to keep the best in mind for Gloria. The title role of Gloria was played by Christie Prades and she had nothing but star quality. As someone who didn’t know much about Gloria Estefan, I did a little research later the next day and I thought she was spot on. While still allowing to take creative liberties with a role, she really did capture the fiery passion and drive that Gloria had to “make it.” Her voice was pure and together her and Eddie Noel had such a beautiful blend of voices. While I say that, I will say that she can certainly stand alone in the singing category with a stunning belt and incredible dance moves. On Your Feet! really was like nothing like I thought it was going to be. It honestly shattered all expectations I had about this bio jukebox musical and really I think sets a precedent on how to create one. It was passionate, inspiring and just downright fun. Certainly one to catch if it’s in a city near you! On Your Feet! plays at the Orpheum Theatre through Hennepin Theatre Trust through January 27.